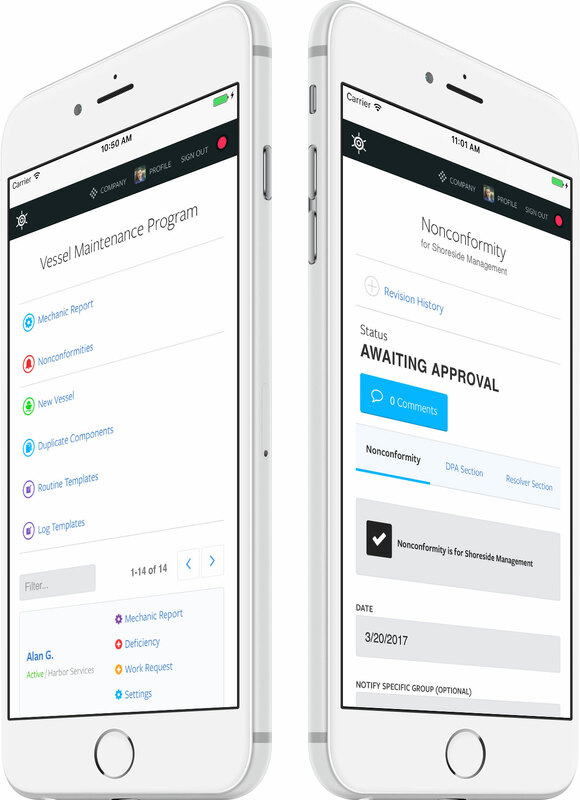 MobileOps can help you organize maintenance, comply with regulations, and stay safe like never before. It's extremely easy to get started, learn, and use every day — no matter where you are. Speed up slow processes and save $$$ with MobileOps. Manage Compliance The MobileOps Platform is ready to help your company comply with regulations like Subchapter M, AWO RCP, ISO, and ISM. Asset Maintenance Routine maintenance, deficiencies, parts requests, audits, and much more. Keeping track of maintenance is easy and intuitive. Safety and Training Monitor personnel documents like credentials and licenses. See employee training across all topics. Track corrective actions. Jobs and Dispatch With an easy to use interface, the Dispatch feature allows management to create Jobs and employees to link a Dispatch Report to the Job. Access MobileOps on any device MobileOps Web is a web-based application that is accessible on computers, tablets, and phones with an Internet connection. Work Offline With our offline capable application, Voyager, employees can Sync when a connection becomes available over land or sea. Working with people who have the maritime experience to understand the issues that come with managing vessels is a breath of fresh air. With changes to legislation, industry practice and expectations, MobileOps will simplify our paperwork and processes for our operations. We have been through this process a few times in an effort to find a vessel management system that worked for us... Our crews have who have been through these vessel management systems in the past say this is by the far the best one they have ever used.